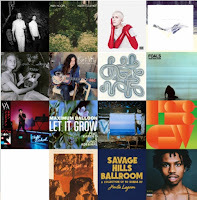 Here's another playlist to catch up on new releases by fave bands such as Deerhunter, YACHT, Beach House, Yo La Tengo and more. There are also songs by new configurations of musicians (EL VY) plus solo work by Martin Courtney and Chris Walla. 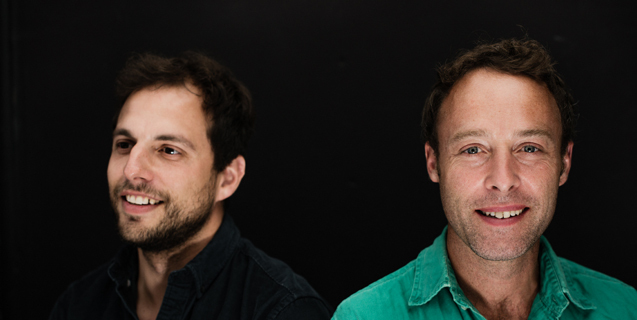 As always, there are a few newbies to welcome to the music scene fold: Maury and Legs. Listen on Spotify via this link or as a YouTube playlist. The National’s Matt Berninger and Brent Knopf (Ramona Falls, Menomena) have been talking about collaborating for years, and now a debut album by their musical project EL VY is ready for a listen. This is the title track for the collection, a bouncy, fun tune with rambling lyrics and sing along chorus. Atlanta’s indie rock quartet Deerhunter has released its seventh studio album since 2001, Fading Frontier, written by songwriter Bradford Cox after he was hit by a car and the accident became a musical turning point. The song “Breaker” finds Cox sharing lead vocals with guitarist Lockett Pundt for a lighter pop sound. L.A. band YACHT was formed in Portland in 2002 by musician/producer Jona Bechtolt and singer Claire L. Evans. They craft fun dance punk songs with a lyrical depth as exhibited in this title track for the band’s sixth album. 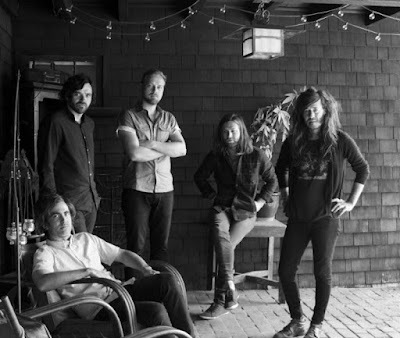 Kurt Vile is a former member of Philly band The War on Drugs who just released his sixth album since 2008, believe I’m going down… As a singer/songwriter, multi-instrumentalist and producer, Vile’s goal was to present songs that have a lo-fi sound, as if they're written and played on his couch. Raury is a young musician from Atlanta who fearlessly mixes soul, hip hop and folk. Last year he put together a mixtape and soon signed with Columbia Records. This friendly, open composition, “Friends,” is off his second album All We Need. Hoboken’s Yo La Tengo has released a mix of covers along with a few originals like “Rickety” for its fourteenth full length album, Stuff Like That There. This memorizing tune showcases the band’s strength in acoustic arrangements and sweetly sung vocals. Foals is an indie rock quintet from Oxford, England. “Mountain at My Gates” is a single from the band’s fourth studio album, What Went Down, with lead guitarist and vocalist Yannis Philippaki leading the band’s driven sound. NYC-based band Here We Go Magic is known for its buoyant songwriting and energetic arrangements as witnessed in “Falling.” This tune is off the fourth album since 2008, Be Small. Noah Benjamin Lennox is the musical mastermind behind Panda Bear, releasing five solo albums since 1999 while Lennox collaborated in Animal Collective. This Baltimore native is now living in Lisbon, indulging in experimental psych pop with this lush composition, “Jabberwocky,” off the EP Crosswords. Brooklyn indie quartet Legs has a tag line that it “makes music for the body” as this song fuses soul and Nu-disco for an instant dance party. “Top of the World” is off the band’s self-released debut album Altitud. Maximum Balloon is Dave Sitek’s side project when he finds time away from being a producer/guitarist with TV on the Radio. This infectious single -- with a strummed rhythm supplementing the drums -- for an upcoming sophomore album, “Let It Grow,” enlists a charming collaboration with vocals by Karen O and TV on the Radio’s Tende Adebimpe. Baltimore duo Beach House, French-born singer Victoria Legrand on keyboards and guitarist Alex Scally, released a second album this year called Thank Your Lucky Stars (the sixth full length since 2004). The drifting tune “One Thing” is emblematic of their dream pop music, imparting an elegant wash of sound. “Kanta’s Theme” is the enigmatic opening track for Field Manual, the first solo release since Chris Walla left Death Cab for Cutie. This change, along with a move with his family to Norway, found him reflective and seeking musical renewal as he started plugging in tape machines to create loops. New York based indie band Here We Go Magic released a new album last week, Be Small (Secretly Canadian) and the infectious kicker of a tune "Falling" is a welcome new earworm. It opens with a wobbly synth intro and a buildup of percussive lines, until an explosion of layered vocals brings an energetic burst into song about the high-powered pull of love that affects everyone -- depicted in the video as directed by Sam Kuhn. For the band's fourth studio LP, chief songwriter Luke Temple took a back-to-basics home studio approach with longtime collaborator Michael Bloch, adding Austin Vaughan on drums. The trademark buoyancy and optimism of the group belies the vast amount of groundwork and musical expertise invested in their catalogue. I witnessed their sweat inducing set on stage a few years ago during Crossing Brooklyn Ferry at the Brooklyn Academy of Music (after choosing songs from the last album, A Different Ship, for my Summer 2012 New Music Playlist). Catch Here We Go Live in concert this Saturday, October 24 at the Bowery Ballroom and see for yourself! The sonic breezes of "Northern Highway" caught my ear recently, so I decided to research into the lilting tune. 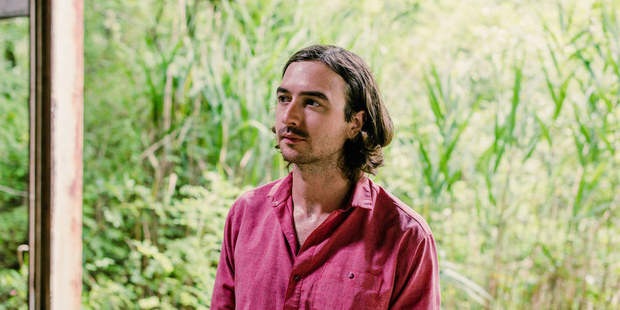 The easy nostalgia behind this familiar sound is Real Estate's vocalist/guitarist Martin Courtney, who will release a debut album October 30 called Many Moons (Domino Records). Courtney started crafting songs for himself as he waited to head back on the road last year after the band's third album, Atlas. He was looking for less abstraction, more a "straightforward pop thing," with themes revolving around his family life as a new father. When a few songs became ten, he enlisted Jarvis Taveniere of Woods as Producer and contributor, along with Real Estate keyboardist Matt Kallman and longtime friend Julian Lynch among others. Courtney is in town for CMJ this week and will be performing October 16 at Converse Rubber Tracks and October 17 at Baby's All Right as well as Space Ninety 8. He also has a date at National Sawdust planned for November 20, more info for tour dates here. Listen to "Northern Highway" with the accompanying video on YouTube or below as directed by Rob Hatch-Miller and Puloma Basu. Looking forward to giving the entire album a full listen -- for now a track listing will just have to do.